I am excited to share my latest From Page to Screen post on If I Stay by Gayle Forman. BE AWARE: THIS REVIEW MAY CONTAINS SPOILERS. Summery: Mia Hall is faced with some tough choices: Stay true to her first love – music – even if it means losing her boyfriend and leaving her family and friends behind? Book Review: This was a quick and easy read for me. I got through it (and it’s sequel Where She Went) in a couple of days. I definitely enjoyed the book. Despite the fact that the book starts of with a car accident that kills Mia’s family the book isn’t as heavy as I expected. I think one of the reasons for this was because the focus was more on Mia reflecting on her relationships rather then the aftermath of the accident. One line that I think really summed up the book was “Sometimes you make choices in life and sometimes choices make you”. The story was less about the accident and more about the choice that Mia has to make and wether or not she can live with the consequences of that choice. So in the end it is more about life then it is about death. Most YA books are more about romance so I really appreciated that Mia’s relationship with her family and friends was just as prevalent and important as the romance between Mia and Adam was. Movie Review: My feeling towards the movie are similar to my feeling towards the book. I thought the movie was really good. They did a great job portraying Mia and her relationships with her family, Kim and Adam. I absolutely loved the scenes between Adam (Jamie Blackley) and Mia (Chloe Grace Moretz). The one thing I wish was that there would have been more of Kim (Liana Liberato). I adore Liana and just wish she could have gotten more screen time. While the movie didn’t make me cry I definitely got teary eyed at some parts. Particularly the scenes between Mia and her grandfather. Compare and Contrast: One thing I have to say about the movie is they did a great job sticking to the book. While of course things changed they really did a good job of staying true to Forman’s novel. The biggest differences between the film and the book was the role Adam played. In the movie they expanded Adam’s role to the point were they decreased the role of Mia’s family and Kim. While I did enjoy the scenes between Adam and Mia I definitely wish we saw more of her relationship with her parents and Teddy. One thing that really separated the movie from the book was the music. 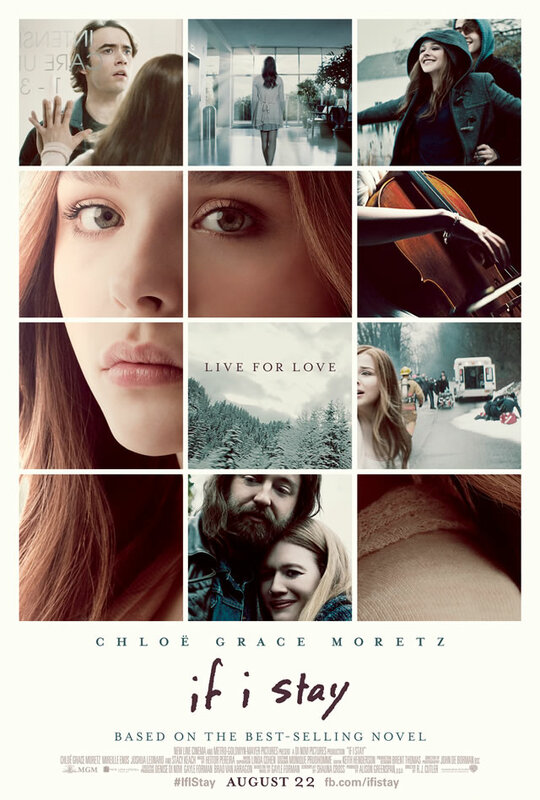 I absolutely loved the If I Stay soundtrack, especially the Willamette Stone songs, and have listened to it over and over again. Overview: Overall I thought the movie did a great job of translating the book into a movie. While changes were made they stuck to the core of the story and kept all of the emotions that were in the book.